Calling all of you spinach artichoke dip lovers! 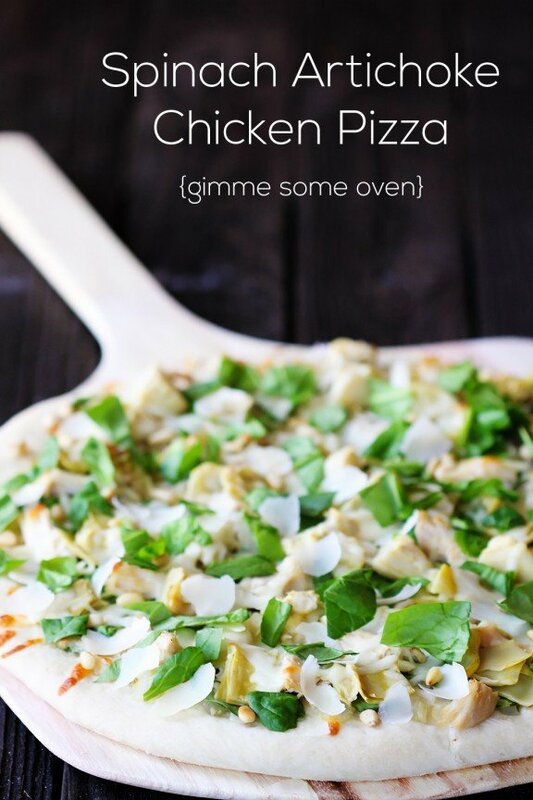 Allow me to introduce you to one of my new favorites — Spinach Artichoke & Chicken Pizza! Actually, the chicken is optional, but the spinach and artichokes are a must. This one turned out to be fantastic! I decided to go a little “lighter” with this recipe and went with a simple garlicky olive oil sauce. 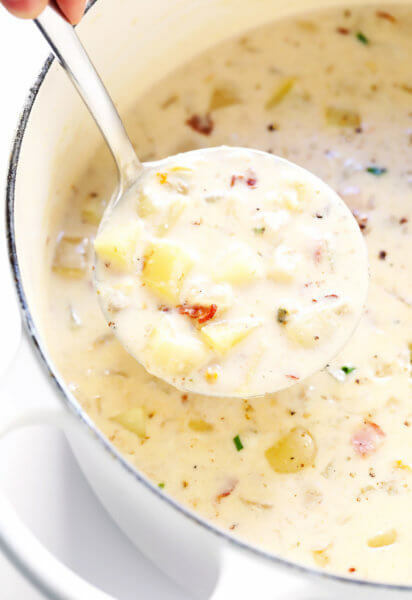 (Although if you really want a creamy pizza, this would be yummy with some alfredo sauce!) Then layered on lots of fresh spinach, artichoke hearts, chicken, and Mozzarella. And then my favorite part — sprinkled the entire pizza once it was cooked with lots of Parmesan and pine nuts. Mmmm. 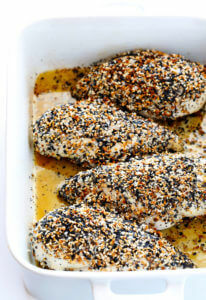 Definitely a quick and easy dinner idea that’s full of flavor. And even though summer veggie season finally came to a close, I love that this pizza is still packed with the fresh spinach and jarred artichokes that are easy to find year-round. I’m all for “green” anytime I can find it in the winter! 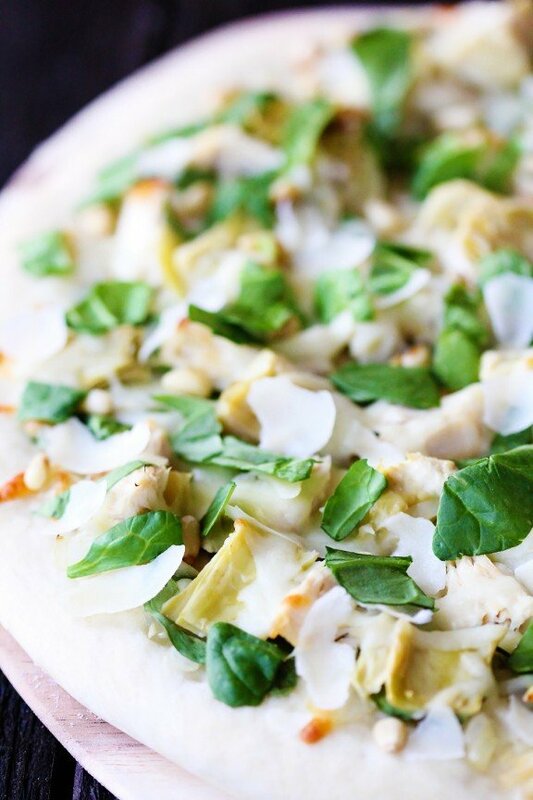 The classic spinach artichoke combination meets…pizza! Brush or mist unbaked pizza crust with about 2 Tbsp. olive oil until evenly coated. In a saute pan, heat the remaining 1 Tbsp. olive oil over medium-high heat. Add the diced onion and saute for 4-5 minutes until translucent, stirring occasionally. Add garlic and cook for an additional 2 minutes. Remove from heat, and spread the onion-garlic mixture evenly over the pizza crust, leaving a 1-inch border. Then layer on the spinach, artichokes and chicken in an even layer, and sprinkle afterwards with the Mozzarella cheese. Bake for 10-12 minutes, or until the cheese is melted and slightly golden around the edges. 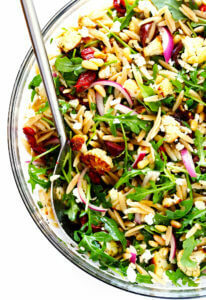 Remove and immediately top with the Parmesan, pine nuts and additional spinach if desired. Serve immediately. For a creamier pizza, feel free to use alfredo sauce in place of the brushed olive oil. 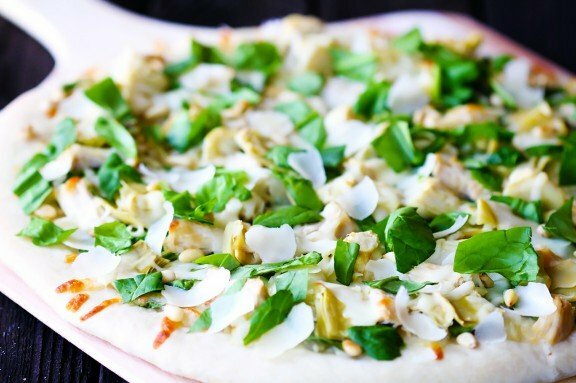 I must confess that I don’t love artichokes but could definitely get on board for this pizza. It looks fabulous! I love how vibrant this pizza looks and the fact that it’s not too heavy. Delicious! I love spinach artichoke dip so I know I would love this pizza! Yum! Whoa, Ali! This pizza looks insanely delish! love that you posted this, because i am making pizza tonight but hadn’t decided just what kind! i love the idea of a lighter sauce – i think it allows the spinach/artichoke flavors to shine! awesome recipe! I love spinach and artichoke dip, yum! i want to eat this entire pizza. i’m not lying. i probably could!!!! all of my favorites. and it’s so gorgeous! What a great idea for a pizza! My family would devour this in no time!